Roses and Tapestry, alternatively titled New Dawn Buds. Signed "M.S. 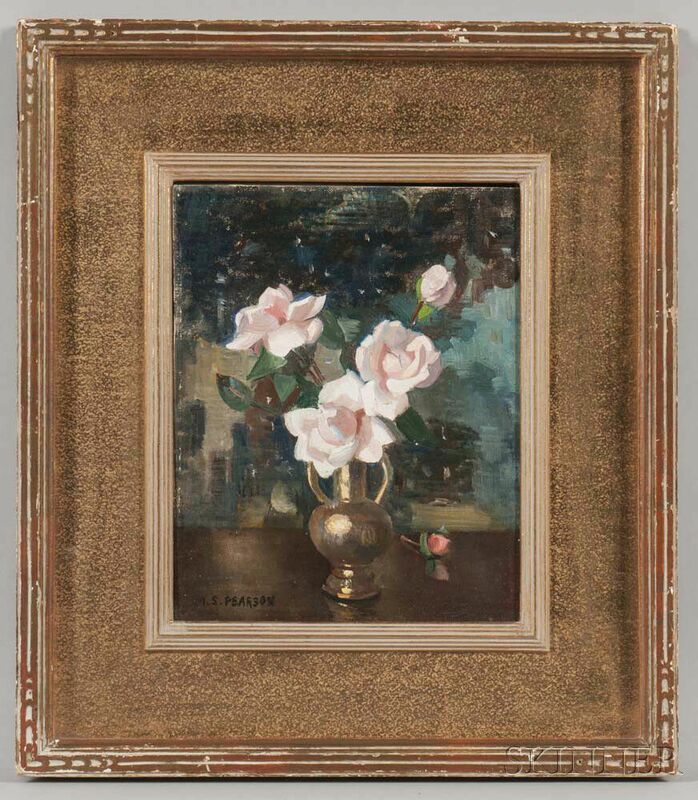 Pearson" l.l., titled and signed "Roses and Tapestry/Marguerite S. Pearson" in pencil on the reverse, titled "Roses & Tapestry" on the artist's label affixed to the frame backing, titled "New Dawn Buds" on a detached label from the Rockport Art Association now affixed to the hanging wire. 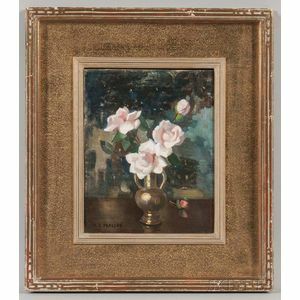 Oil on canvasboard, 9 7/8 x 8 in., framed (under glass). 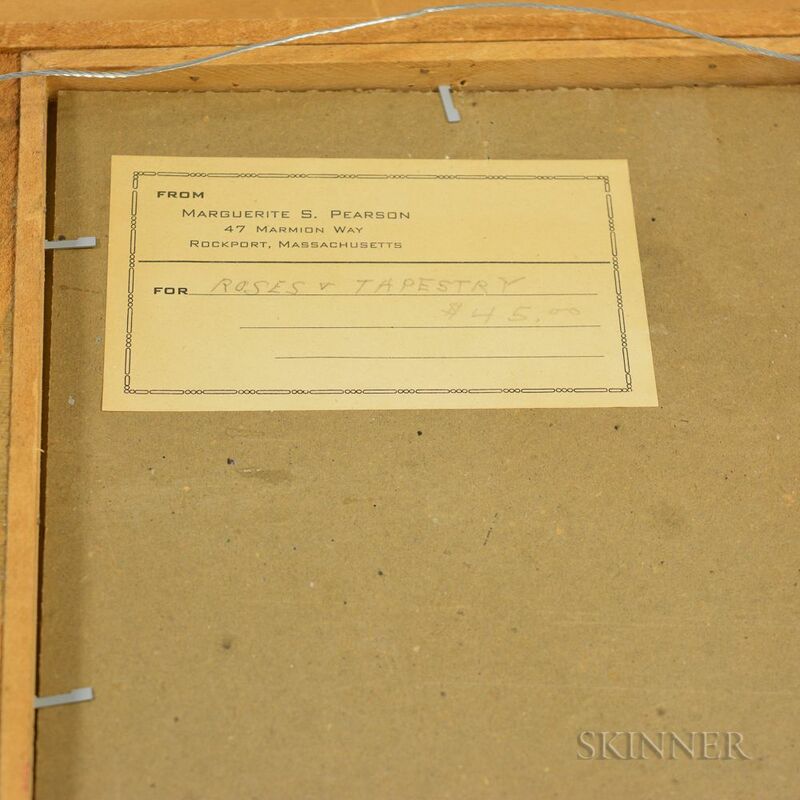 Condition: Minor varnish inconsistencies, minor frame abrasion to lower edge. Overall condition is good. Area of uneven varnish located u.c., with some paint presenting a matte finish, which is evident under uv examination but which does not appear to be retouch. Similar area in l.r. corner where it is clear that the work was not varnished all the way to the edge at that corner. 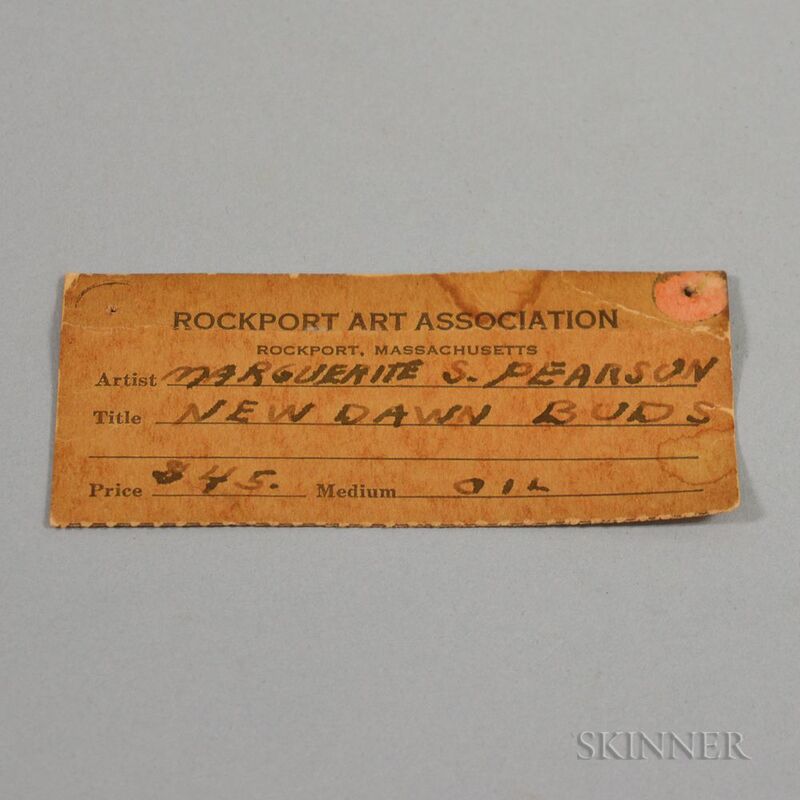 The Rockport Art Association label is not dated, but it is toned and clearly old. It has tack holes in the upper corners where it had been attached at some point.